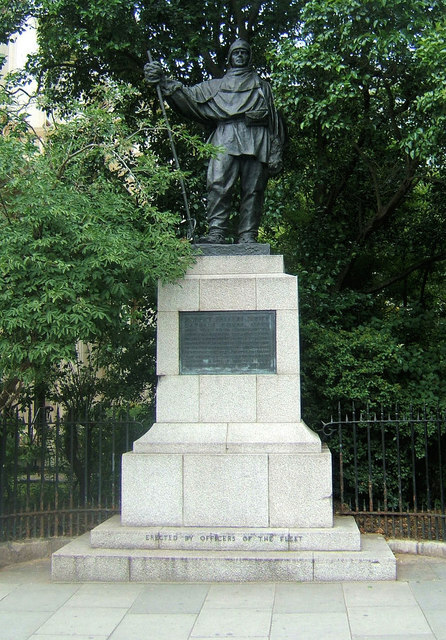 This is a bronze statue on a stone pedestal showing Captain Robert Falcon Scott dressed in polar clothing carrying a ski stick in his hand. The text on the plaque lists his companions who died with him in 1912 and also quotes from his famous diary. © Copyright Kevin Gordon and licensed for reuse under this Creative Commons Licence. This page has been viewed about 2488 times. Eros.... or so you might think. It isn't really Eros at all. It's his twin brother, Anteros.